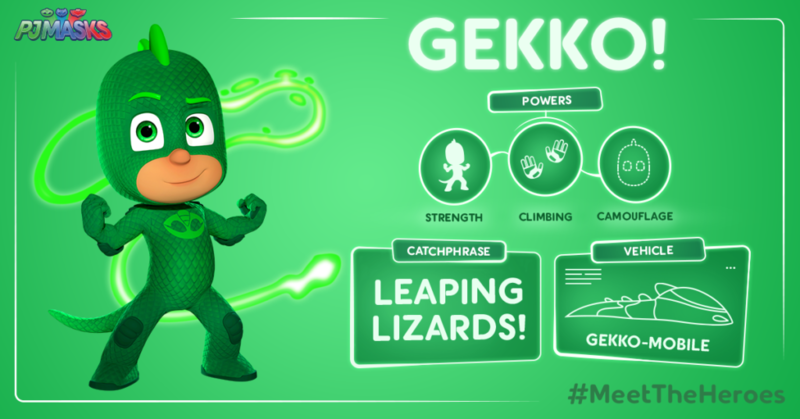 Meet the heroes of PJ Masks! There's Catboy, Gekko and Owlette! But when something goes awry in the city… these special kids, filled with curiosity and a sense of justice, get ready for their mission – though they have to wait until night fall when the city is asleep and they can go undetected! Instead of going to bed like all the other children, when our heroes get their pyjamas on, they magically transform into super heroes and become the PJ Masks! 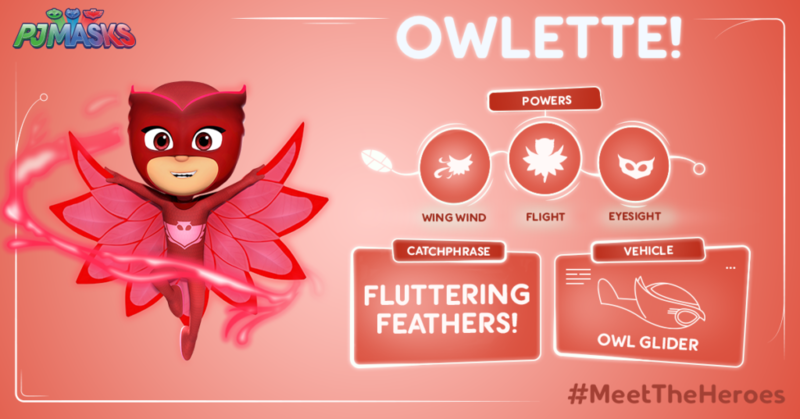 There’s Catboy – super fast and incredibly agile, Gekko – strong, sticky and a master of camouflage, and Owlette – with the ability to fly and see across great distances! Together these three can tackle any situation – PJ Masks are on their way into the night to save the day! 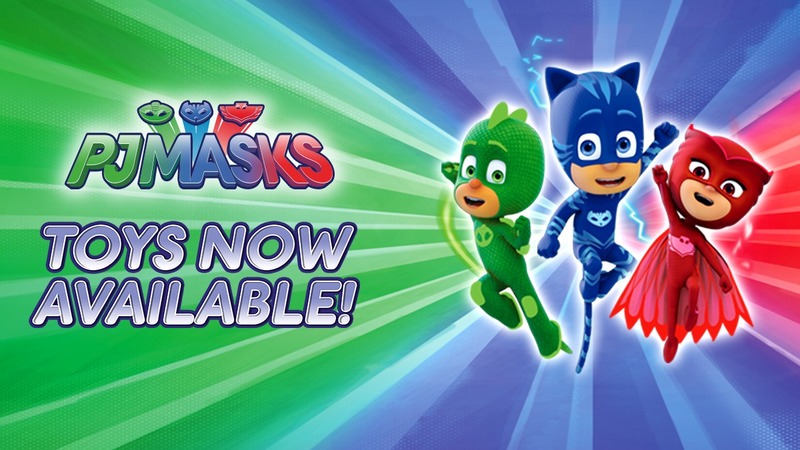 PJ Masks action figures, vehicles and dress-up are now available in all major UK retailers! 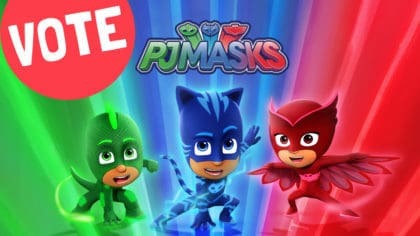 Click here to go to the PJ Masks website! 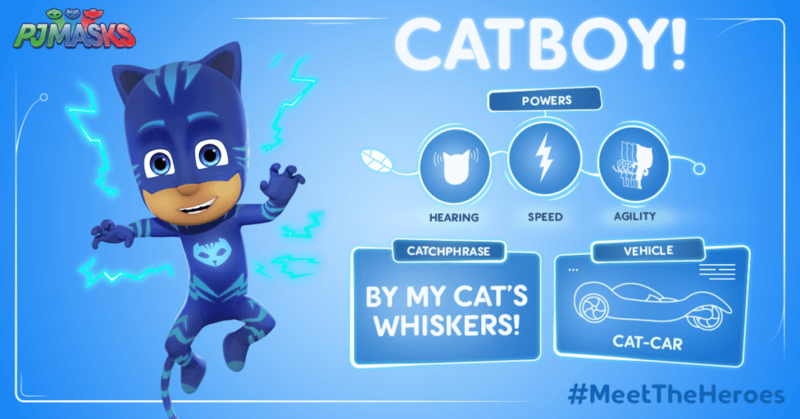 PJ Masks airs daily at 5.30pm on Disney Junior. Click here to go to PJ Masks YouTube channel! Grown-ups can also follow PJ Masks on Facebook and Twitter! Who are these PJ Masks characters? 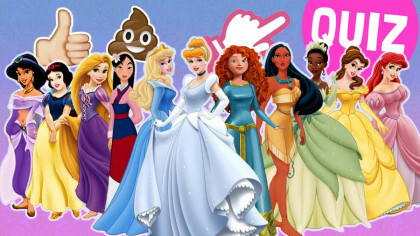 New episodes, characters and more in PJ! 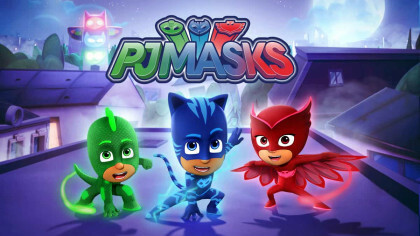 Are you excited for PJ Masks season two?